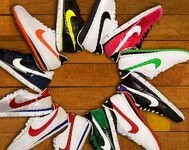 Nike being the multimillion dollar Sportswear and athletic shoe company is a totally different type of company to Etsy, the trending internet site that specialises in HomeCrafts. However once again Smartphones can unite these two disparate companies in the form of Shopping Apps for the iPhone. The Etsy App on the other hand while not as polished has the type of quaint charm that you'd expect from a HomeCraft website. It presents products in very easy to access Etsy categories such as jewellery ; clothes and the eclectic Etsy Art . 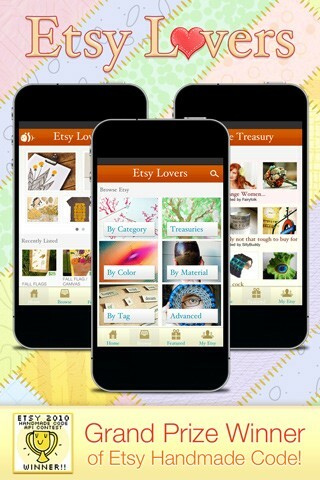 Etsy features two apps: Etsy For iPhone giving you the ability to search for Handmade and Vintage items as well as access to the Etsy Treasury Lists, with the occasional Etsy Coupon thrown in for good measure. Sellers are also catered for with a host of merchant tools. So this festive season and on in to the future with January sales and beyond, remember that Shopping need not be as much of a chore with these shopping apps and more available on iPhone and iPad.